The currency known as bitcoin — a much-hyped and much-doubted type of digital cash that can be bought with traditional money — has mostly attracted attention for its popularity in the black market, and for its wildly gyrating valuation. But some entrepreneurs, investors and even merchants are eyeing a far more mainstream use for it. They are convinced that bitcoin, though not widely understood, offers a path to lower payment processing and more secure transactions. Instead of using bitcoin to buy illegal guns in the recesses of the web, they say, ordinary consumers will use it to buy legal goods from legal retailers — and as easily as they now swipe their credit cards or exchange paper bills. “I’m confident you will see major worldwide retailers adopting systems built on bitcoin,” said Jim Breyer, the Silicon Valley venture capitalist and early Facebook investor who also served on the board of Walmart Stores for more than a decade. Mr. Breyer is an investor in Circle Internet Financial, one of the host of start-ups trying to find a way to make bitcoin a widely adopted currency for retail payments. The company was started by Jeremy Allaire, a serial entrepreneur, and it aims to be a payment processing system for online and physical merchants, similar to the service PayPal offers online. Along with his venture firm, Accel Partners, and another called General Catalyst Partners, Mr. Breyer has invested $9 million in the company. One potential obstacle to mainstream acceptance of bitcoin is the sometimes wild fluctuations in its value, which makes it alluring to currency speculators but could scare off ordinary consumers. One bitcoin was worth just over $200 Wednesday afternoon. Someone who bought a bitcoin in early April paid as much as $266 for it. Only a small and motley assortment of merchants now accept bitcoin as payment, and in many cases they do it largely as a marketing strategy. The list includes a winery in British Columbia, the popular online dating site OkCupid and a Seattle lunch truck that specializes in grilled cheese sandwiches. A start-up called Gyft lets people buy electronic gift cards for major retailers with bitcoin, and this week an A.T.M. in Vancouver, Canada, began issuing bitcoin to people in exchange for cash. 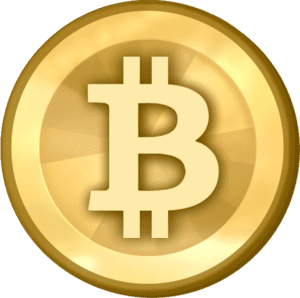 April 17, 2019 - Bitcoin Eyes April Price Gains for Fourth Year Running CoinDeskBitcoin appears on track to end April on a positive note for the fourth consecutive year. The cryptocurrency is currently up 27 percent on a month-to-date basis. April 17, 2019 - Bitcoin, Ethereum, Ripple, Bitcoin Cash, EOS, Litecoin, Binance Coin, Stellar, Cardano, TRON: Price Analysis April 17 CointelegraphIf the current recovery continues, it could attract traders who are waiting for confirmation of a bottom. April 17, 2019 - Afghanistan, Tunisia to Issue Sovereign Bonds in Bitcoin, Bright Future Ahead newsBTCAfghanistan and Tunisia are planning to issue sovereign bonds in bitcoin to fund infrastructural developments, reported Asia Times from IMF's Springs.